If you are unfamiliar with how subscriptions we'll explain briefly here. 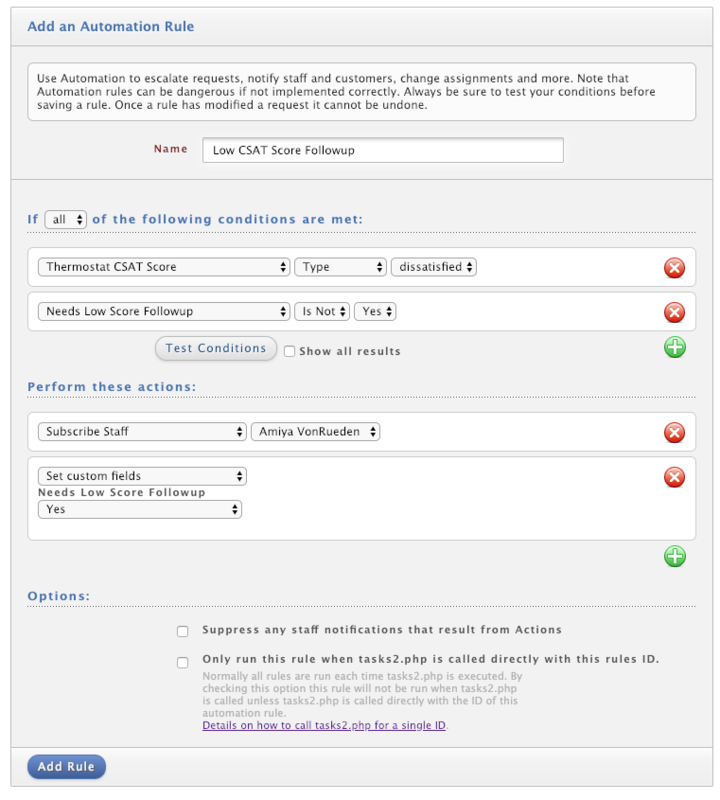 Subscriptions allow staff to be notified on request updates for requests that they are not currently assigned. This function is great for managers that need to track specific issues or for staff that are assisting another staff member with an issue. The subscribe and unsubscribe actions are simple to implement in your automations and triggers. 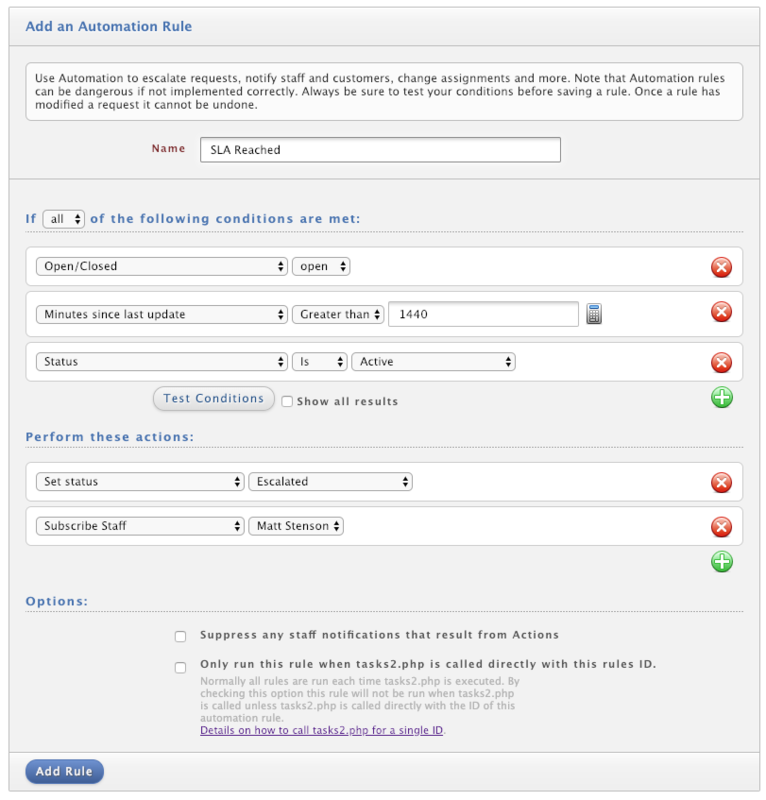 Simple select the appropriate action and the staff member you wish to apply the action to. If you need to subscribe or unsubscribe more than one staff member you can add multiple actions to the same trigger or automation. In this scenario we have a monitoring system that sends an email to HelpSpot when a system goes down. In order to keep the entire support team up to date on the repairs to the system we'll use a mail rule to subscribe them all to the requests. 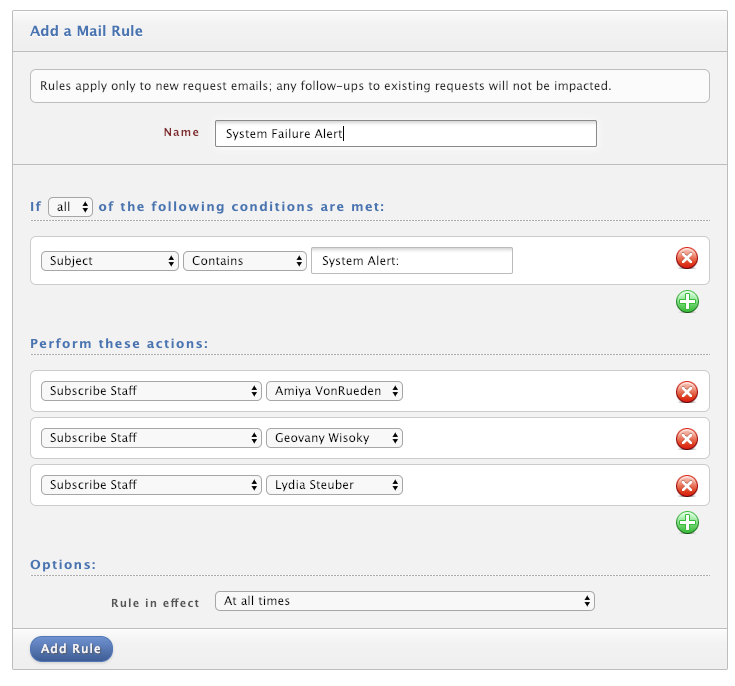 We'll set up this mail rule in Admin > Triggers & Rules > Mail Rules. Then as the system is worked on the request can be updated and each staff member will be notified of the progress. In this case we're using thermostat.io to survey our customers. Whenever a low survey score is received on a request we'll subscribe the manager and alert them to the score so that they can follow along as the customer support representative works to resolve the issue and correct the low score. We can accomplish this using an Automation Rule.